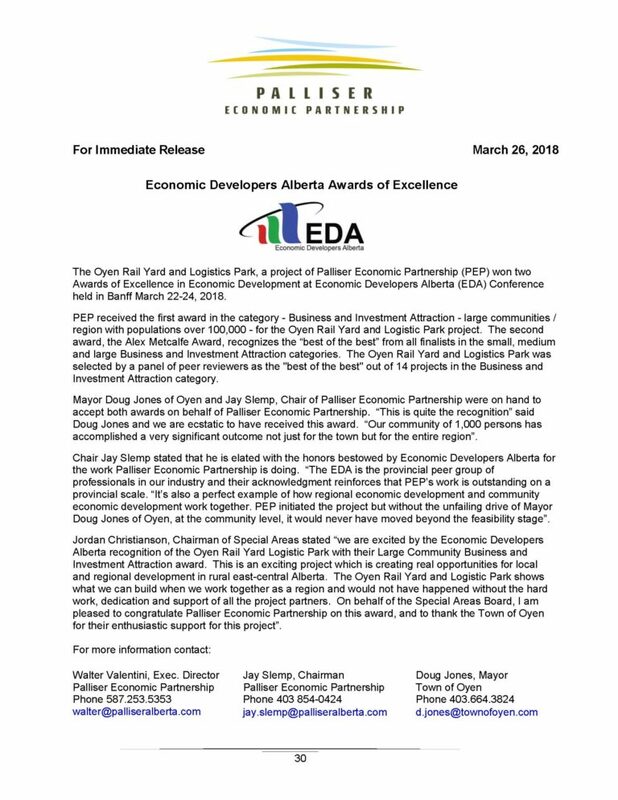 On March 22-24, Palliser Economic Partnership (PEP) recently was awarded two prestigious awards from Economic Developers Alberta for the Oyen Rail Yard and Logistics Park project: Business and Investment Attraction (large communities) award and the Alex Metcalfe Award. 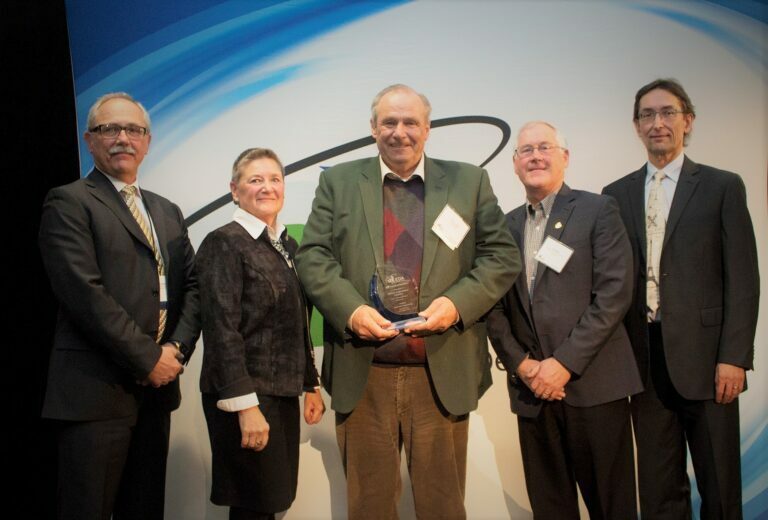 Both the awards recognized the Oyen Rail Yard and Logistics Park project, with the Alex Metcalfe award specifically recognizing this project as the "best of the best" out of the field of projects being considered. 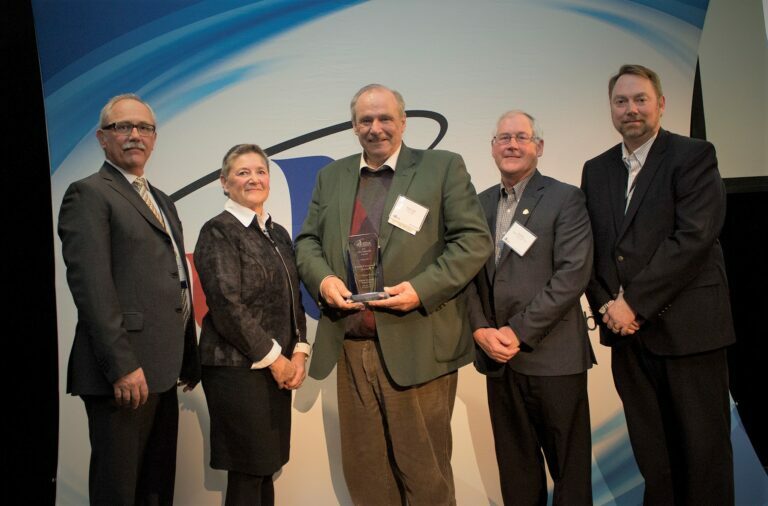 Doug Jones (Mayor of Oyen), Jay Slemp (Chair - PEP), and Walter Valentini (PEP) were on hand to receive the two awards in Banff. 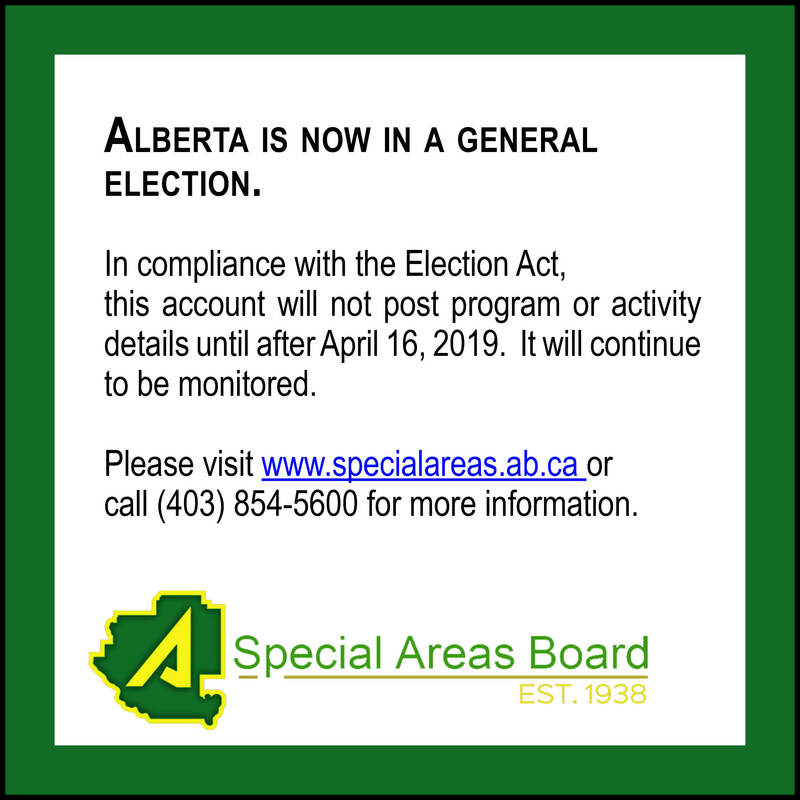 On behalf of the Special Areas, Jordon Christianson (Chair) shared his appreciation for the two awards, "we are excited by the Economic Developers Alberta recognition of the Oyen Rail Yard and Logistics Park. This is an exciting project which is creating real opportunities for local and regional development and shows what we can build when we work together as a region. This project would not have happened without the hard work, dedication and support of all the project partners."